So I stuck to the doctor's advice with my eczema. 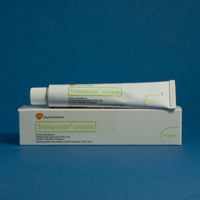 I used the Trimovate cream on my hands twice a day. The Trimovate is quite thick and yellow and not very pleasant. It felt quite dry on my rough hands and not at all moisturising. However it is working. The doctor said this was safe to use in small quantities on my face, and since using it I have have no more red patches on my forehead, hairline or jawline and the roughness is receding. 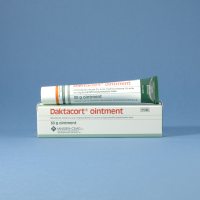 The Diprobase ointment I was already using. The doctor said I may as well stick with it as it's the only emollient I'd found that didn't make my skin react. On the doctor's advice I've also been using Dermol cream mixed with a little water to wash with in the shower so I've chucked the aqueous cream in the bin!